Are you wondering how to put VP8 videos on your iPhone, PSP and many other portable media player so that you can enjoy the VP8 videos at anywhere and anytime as you like? No matter you are looking for creating high quality VP8 video or for converting VP8 videos to other video formats, Any Video Converter will fulfill your task in a simple yet professional manner. 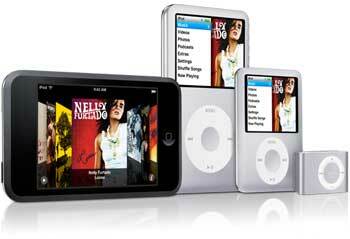 Any Video Converter would be you best solution. Any Video Converter is an excellent and professional VP8 Video Converter which can encode and create VP8 video for HTML5 video from various video formats including convert to VP8 from MP4, MOV, AVI, 3GP, FLV, H.264, MKV, WMV, RM, RMVB, VOB, Xvid, DivX, HD, AVCH, etc. 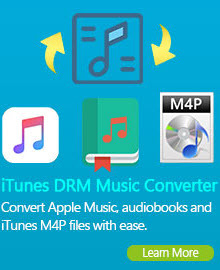 Any Video Converter is also a powerful VP8 Encoder which can help you convert VP8 to many other videos such as MP4, WMV, AVI, 3GP, 3G2, FLV, H.264, MKV, M2TS, ASF, SWF, etc., and can extract music from VP8 and save as OGG, MP3, AAC, M4A, WAV, WMA, etc. Optimized preset profiles are available for a great variety of digital devices including iPod, iPhone, iPad, BlackBerry, Apple TV, Zune, PSP, PS3, Creative Zen, Xbox, Archos and so on. With this VP8 Video Converter, you may preview the movies before conversion, convert video segment, crop black margin, merge chapters, select audio track and add srt subtitle you preferred, adjust the parameters to customize output effect, capture your favorite scenes and more. Wanna rip DVD to VP8 format? You need to get Any DVD Converter to convert DVD to VP8 files (*.webm)! With Any Video Converter, you can easily convert VP8 files (*.webm) to AVI, WMV, MPEG-1, MPEG-2, MPEG-4, FLV, SWF, MKV, MP3, M4A, WMA, WAV, AAC and OGG files. The VP8 Video Converter can help you to easily convert VP8 to AVI, MP4, WMV, MPG, FLV, SWF, 3GP for your iPod, iPad, iPhone, PSP, BlackBerry,Windows Mobile, Tablet PCs, etc with fast converting and encoding speed and outstanding output audio-video quality. User-friendly interface and simple operation are all integrated. 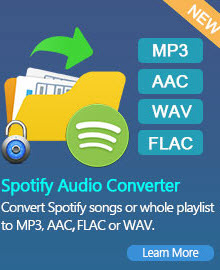 The VP8 Video Converter also allows you to extract audio from VP8 video in MP3, AAC, M4A, WMA, WAV, OGG format for only enjoying the audio track. The VP8 Video Converter will maintain the original quality by allowing you to adjust video resolution, frame rate, bitrate and audio channel, sample rate, bitrate. In contrary, the VP8 converter also supports converting various video formats to VP8 files (*.webm). The key input formats supported by VP8 converter include: 3g2, 3gp, 3gpp, 3gp2, amv, asf, avi, avs, dat, divx, dv, dvr-ms, f4v, flv, m1v, m2p, m2t, m2ts, m2v, m4v, mkv, mod, mov, mp4, mpe, mpeg, mpeg2, mpeg4, mpg, mpv, mts, nsv, ogg, ogm, ogv, qt, rm, rmvb, tod, trp, tp, ts, vob, vro, wmv. Downloading and converting YouTube video to VP8 is also available. Just with a few clicks and several seconds, VP8 Video Converter helps you to save the online YouTube video in VP8 files (*.webm). VP8 Video Converter offers you another characteristic: burn VP8 videos to CD/DVD with DVD Menu and create ISO/DVD Folder. This VP8 Video Converter could burn your favorite VP8 video clips or any other video formats to DVD so that you can play it on home DVD player sharing with your friends and family members. With this VP8 to DVD burner, you will be prompted to choose DVD menu when the program finishes VP8 to DVD conversion process. So just with a few clicks you can easily and quickly burn your desired VP8 videos to a playable DVD. VP8 Video Converter software provides an easy way to combine and join multiple videos together. Just select the videos you want to join and check the “merge output” you can finish it easily. You can merge several VP8 video clips into a single video, so that you can enjoy a long video. You can trim the length of any videos to get the video or audio clips you want. The VP8 Video Converter also allows you to crop video to adjust the suitable size of displaying screen. You may personalize the video by tuning the video brightness, contrast, saturation or adding some effects like "Mirror Image " or "Flip Vertical"etc. For enjoying a better quality output video, VP8 Video Converter offers you the characteristic to make advanced encoding settings including Video Codec, Frame Size, Frame Rate, Bitrate and Audio Codec, Sample Rate, Channels, Bitrate. If you like the current image of the video you can use the “Snapshot” option. Just click the “Snapshot” button the image will be saved. If you have a lot of videos to be converted to VP8 files, but you do not want to waste time to convert them one by one. The VP8 converter supports batch conversion. It is very easy to use. With just a few clicks, you can finish all what you want. VP8 is an open video compression format released by Google, originally created by On2 Technologies.